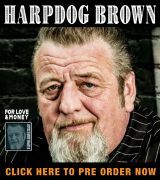 In 2010, after more than 40 years in the music business, including four years as the lead singer of Blind Pig recording artists, Chicago Rhythm and Blues Kings, another four years with Approaching Storm, being a part of the Minneapolis soul scene alongside such acts as Prince and Morris Day And The Time, as well as work as a solo artist (which resulted in him being inducted into the Iowa Blues Hall of Fame in 2003), Muscatine native Ernie Peniston entered well-deserved retirement. The good news for all fans of top quality blues, funk and soul is that, as any student of Robert Burns will tell you, “the best-laid schemes o’ mice an’ men, gang aft agley” (or, as we say in English, the best-laid plans of mice and men, often go awry). 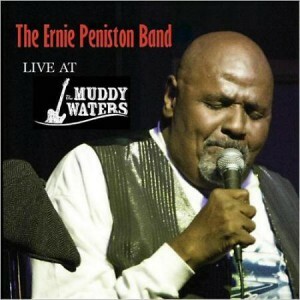 A chance meeting in 2013 between Peniston and former EPB guitarist Joe Collins and a number of subsequent phone calls resulted in various ex-members playing together again and in February 2014, the Ernie Peniston Band held a reunion show at The Muddy Waters in Bettendorf, Iowa. The gig was recorded and has now been issued as Live At The Muddy Waters, and it is a little gem. Opening with an uncredited vocal introduction, the band launches into a funky-but-smooth instrumental jam, with guitarist Collins immediately setting the tone with a blazing yet melodic solo. Keyboardist Manuel Lopez III follows with a jazz-rock influenced solo before a second short Collins segment leads into a solo from bassist Darren Butler. But what could come across as either directionless jamming or even self-indulgent twiddling actually works beautifully because of the musicality and restraint of the players. And the jam then seamlessly segues into the funk of “So Many Women, So Little Time”, permitting the entry of Peniston himself. Peniston is a singer with a magnificent voice, capable of handling a wide range of styles with aplomb and always with full-bore emotional commitment. And his band is top notch, with the rhythm section of Butler and drummer Rick Penhallegon laying down a deeply funky groove on every number. Lopez and Collins both get ample time to stretch out on solos but also provide sensitive backing accompaniment to each other and to Peniston’s voice. What really sets this album apart is the funk edge displayed by the band. The funk songs (such as “If You Wanna Boogie….”) are balanced by a healthy dose of blues but the blues songs are played with a deeply funky-soul edge. There are a number of classic blues songs in the set, but they are all given a new lease of life by the injection of funk from the band. So on “Here I Am”, for example, what could be a straight 12 bar shuffle is given a funky work-over. BB King’s “Why I Sing The Blues”, Magic Sam’s version of “Sweet Home Chicago” and even “Stormy Monday” all sound reinvigorated in the hands of the EPB. The band are equally adept at the soul of Bill Withers’ “Ain’t No Sunshine” or “Heart Of St Paul”, written by Peniston’s boyhood friend, the late Andy Bailey. If there is a criticism of the Live At The Muddy Waters, it is in the absence of information on the album sleeve. The musicians and songs are listed, as is the fact that the CD was recorded by Terry Patton (who, as an aside, has done a wonderful production job, capturing a truly live sound without losing the instrumental separation of studio recordings). But there is scant other information. No songwriters are listed for any of the tracks. 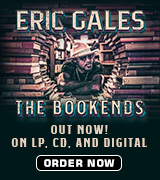 There is no reference to a website or Facebook page, nor to any record company. Curiously, there isn’t even an assertion of copyright. That minor issue aside, if you like your blues mixed with some red hot funk, you will definitely want to check out Live At The Muddy Waters. It’s a very impressive and enjoyable release. The EPB do not play many gigs but – on the basis of this album – if they are playing near you, it will be a gig you won’t want to miss.